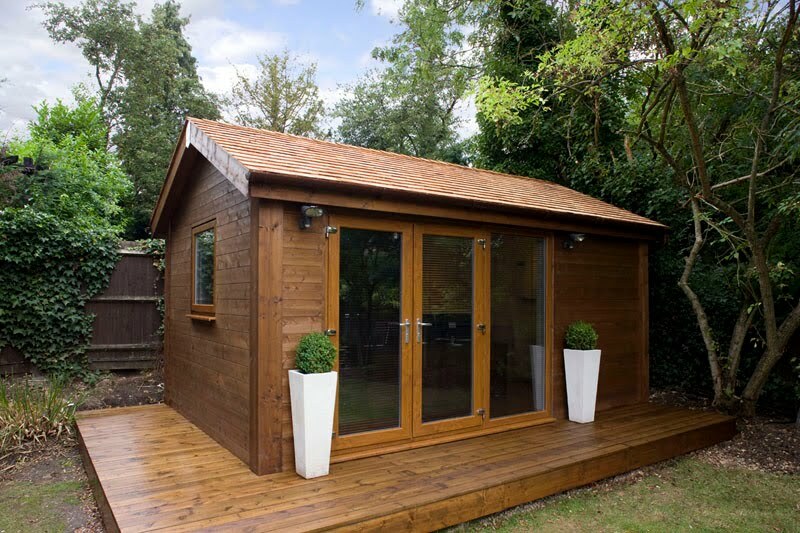 A common issue among those considering becoming shedworkers is worries about how much room a garden office will take up. Here's a good example of what can be done in a restricted area, in this case by eDEN Garden Rooms at a terraced home in Hither Green, London. It was built boundary-to-boundary at the end of a narrow garden, measuring 3.3m x 3.7m and featuring aluminium sliding doors (replacing an existing shed) on screwpile foundations. The whole build took just under a week. You can see more about how eDEN puts together their buildings in the video below. Garden offices. are a great addition to the garden increasing its value, and a good choice for the small business owners.